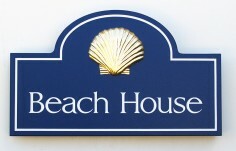 Beach house signs need to be crafted to last in sun, sand, and weather! 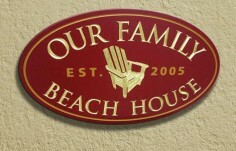 For generations beach house signs were made of wood. 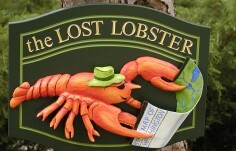 But a wooden sign that hangs out in the elements breaks down quickly and needs frequent re-varnishing or re-painting to keep it looking reasonably good. For better weather-ability we use an HDU/PVC laminate. 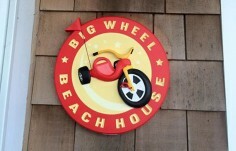 Our hand-crafted custom beach signs look and feel like painted wood signage. 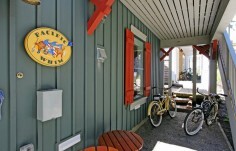 But the weathering is far superior to wood in waterfront conditions. Our HDU (high density urethane) will not crack, split, swell or rot in the elements. Our Dulux Weathershield paints were developed for harsh climates - the manufacturer advertises a 15 year guarantee against cracking, blistering or peeling. These UV resistant paints use mineral pigments so most colors will show no significant fading for 8-10 years. 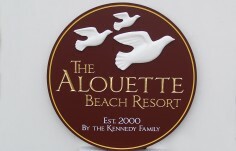 This style of signage is perfect for custom beach house signs, lake house signs and other signage that needs to spend a lot of time out in the weather. 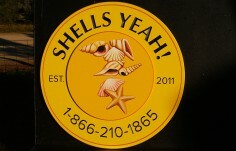 Ready for a nice sign? 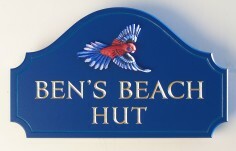 Have a look at the photos on the left for a sampling of the many beach house signs we have made for other clients. 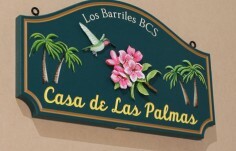 When you see a sign that you like click on the photo for more details and then tell us how we should tweak and customize it for you - our designers and sign carvers will do the rest! 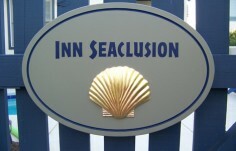 I had been searching since 2004 for the perfect sign for my beach house on Fire Island, NY. 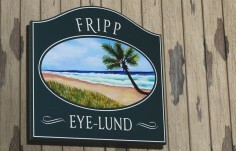 My house is named after my Mom and grandmother who had given me the love and support necessary for success and loved the beach. 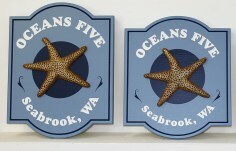 As a result, I wanted the sign to be unique, special and the perfect accent for the home that had made both of them so proud. I was so happy when I found Danthonia Designs. 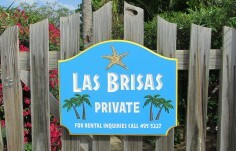 The site was so easy to use and allowed me to customize the ideal beach sign. I saved many different versions that enabled me to easily garner opinions from my family and friends. The support was impeccable from design approval to delivery. 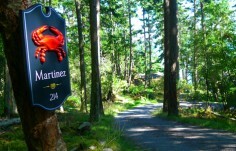 I receive many compliments on my house sign from guests and passersby. 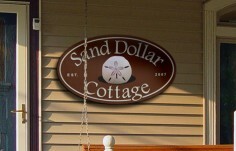 I would highly recommend Danthonia for anyone looking for a beautiful, high quality crafted sign.